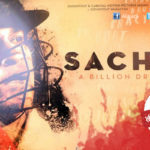 Sachin: A Billion Dreams is the biopic of cricketer Sachin Tendulkar. If one thought cricket is in itself a religion in India, then he would be considered a God by many. There is a craze among cricket fans, who went to the extent of unfollowing cricket after he retired. This craze was in a way recorded in the anthem of the movie, composed by AR Rahman titled ‘Sachin, Sachin’. There is a reason this is goosebumps-inducing listen. The anthem is actually the crowd at a stadium chanting Sachin’s name when he walks towards the pitch. Actor Rakul Preet interviewed this legendary sportsperson, and she is on cloud nine! Rakul took to Twitter to express her happiness and said, “Honoured n privileged to interview the one n only ,d legend @sachin_rt .Dre is so much to learn frm ur journey sir. 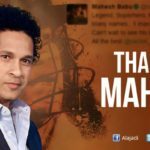 ?” She also added, “Alls best 4 #SachinABillionDreams @sachin_rt .what a story to tell ! its surely goin to inspire billions ?” Well, after Bollywood actors like Aamir Khan and Sonam Kapoor shared their favorite Sachin moments, we can conclude that the whole country is waiting to see the God of Cricket light up the silver screen on May 26. 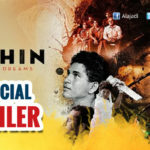 The film unlike the other biopics, stars Sachin Tendulkar himself and will reveal a lot about the cricketer’s personal life. He had also mentioned during one of the meets with the media that the film will show how he met his wife Anjali, and shed some light on his love life.